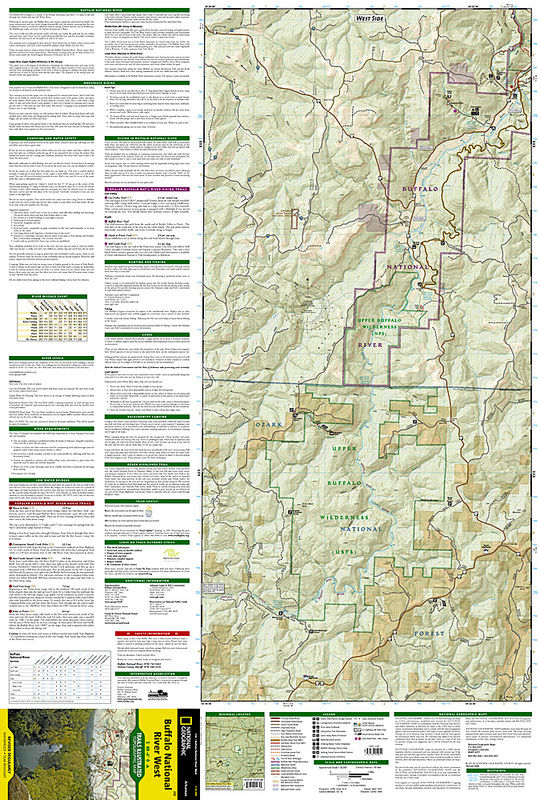 Buffalo National River West Map [ti232] - $10.95 : Trail Explorers Outpost, Keeping the Adventure Alive! The first National River to be designated in the United States, the Buffalo River flows 153 miles through the tranquil forests and dramatic sandstone and limestone bluffs of the Ozarks. National Geographic’s Trails Illustrated map of Buffalo National River West combines unmatched detail with helpful information to offer an invaluable tool for making the most of your visit to one of the few remaining undammed rivers in the lower 48 states. 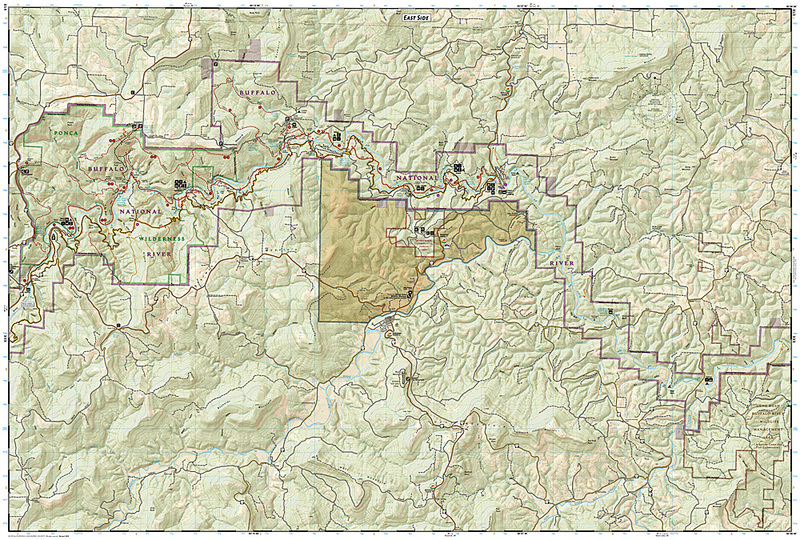 Created in partnership with local land management agencies, this expertly researched map includes sections of the river from the Upper Buffalo Wilderness and the Ozark National Forest, through Boxley Valley to the Little Buffalo River, then through to Woolum. Summaries of popular hiking and horse trails will help you choose the route that’s right for you. The clearly marked trails include mileages between intersections. Handy river mileage and services charts are included as well. The Ozark Highlands and Arkansas Scenic 7 byways are noted for those wishing to take in the scenery by car. The map base includes contour lines and elevations for summits and passes. Some of the many recreation features include interpretive trails, campgrounds, trailheads, river access, waterfalls, horse camps, and scenic areas. Information on caves, canoeing and water safety, recreational activities, and more will help guide you in exploring all the region has to offer.